Since their emergence in 2006, SpectraSoul have carved a truly unique position, not only in Drum & Bass, but electronic music as a whole. Having released music on only the very finest and most respected labels in the scene, from Goldie's legendary Metalheadz, to dBridge's boundary breaking Exit Records, and Kasra's ever progressive Critical Music, they went on to become vital members of Friction's irrepressible Shogun Audio imprint. Beautifully deep and etched with groove yet powerful enough to move any dancefloor, SpectraSoul's stunning musical productions are a far cry from the soulless, synthetic rave fodder so many unfortunately associate with Drum & Bass today. Their creative evolution has seen them incorporate such a variety of tempos and moods - bending genres in the process - yet their underlying sound remains instantly recognisable, and in many ways unique. The breadth of their creative influences is a rarity within their peer group; taking influence not only from a unique mixture of musical genres and moments in time, but also from wider fields such as photography, art, film and beyond. With the release of their debut album 'Delay No More' in July 2012, SpectraSoul received well-earned critical acclaim from an idiosyncratic plethora of supporters, and impacted, not only on UK shores, but across the globe leading to a touring schedule covering 4 continents and 30 countries, as well as radio support from far and wide. With the singles 'Light In The Dark' and 'Away With Me' gaining heavy rotation on BBC Radio 1, 1Xtra and 6Music. 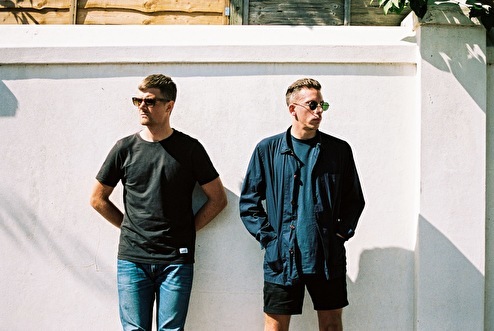 Their sophomore album, 'The Mistress' followed in 2015, and saw the duo gain notoriety from top DJ's at BBC Radio 1, and 1xtra, with the lead single, 'Always', serving as Annie Mac's 'Special Delivery'. The world tour that followed saw the duo playing extended 3 hour sets to allow them to showcase their discography, as well as the breadth of their taste within the 170bpm format. With this success came a string of high profile remixes for artists such as Jungle, John Newman, Raleigh Ritchie, Benzel, and Dornik, all of which gained support from specialist radio figureheads such as Annie Mac, Mistajam, Huw Stephens, Friction and others.